Welcome to the Executive Nissan Finance Center! Whether you’re interested in taking home a new Nissan car or pre-owned vehicle from our North Haven, CT car dealership, our auto finance experts are here to help you find the car loan or lease that’s right for you budget. Whether you have good credit, bad credit or even no credit, we can work with you so you can take home the car of your dreams. 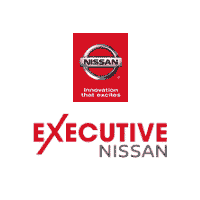 If you have questions or would like to schedule an appointment, please don’t hesitate to call us or contact Executive Nissan online. We’d be happy to hear from you!